Kristen Dennis's cellular carrier didn't offer the bright pink Motorola Razr she desired about 18 months ago. And Andy Abramson frequently travels abroad and was paying too much in international roaming fees. Both solved their problems with unlocked phones. Cellular carriers, particularly in the U.S., usually lock the phones they sell so they work only with that carrier's network. However, unlocked phones are readily available that can enable owners to more easily switch cellular operators and to get more features and services than specific operators offer. Dennis, an assistant account executive for a Washington public relations firm, said buying an unlocked phone was easy. "The only problem at the beginning was text messaging," she recalled. "You have to insert some Cingular codes, so I went to [an online] forum, got the codes and eventually figured it out. It took about half an hour." Buying new, unlocked phones or unlocking your existing phone is perfectly legal in the U.S., although it's not as common as it is in other parts of the world, most notably Western Europe. There, countries such as Belgium don't even allow the sale of locked phones. However, although buying an unlocked phone or unlocking an already purchased phone can lower costs and provide other benefits, it is not always a no-brainer and does not provide advantages for everybody. The most obvious impediment to using unlocked phones is that the option is only available to those who subscribe to cellular networks based on GSM (Global System for Mobile Communications) technology. In the U.S., that means AT&T Inc. and T-Mobile USA Inc. Phones that connect to such networks carry subscriber and network information on Subscriber Identity Modules, which can be easily inserted into the phone. If you own an unlocked phone and switch carriers, you simply take out the old SIM and put in a new one. In contrast, networks based on CDMA (Code Division Multiple Access) technology -- Verizon Wireless and Sprint Nextel are the largest in the U.S. -- keep that information in memory, which, practically speaking, locks the phones into a specific network. If you switch carriers, you must buy a new phone. There are many advantages to unlocked phones, only one of which is simplicity. "I buy phones and don't wait for my contract to be up," said Abramson, who writes the blog VoIPWatch. That means he can get a new phone whenever he wants to, without being locked into a new one- or two-year contract. For instance, Sony Ericsson Mobile Communications AB's Walkman music phones are big sellers in Europe because of their strong media abilities, but few are sold by U.S. carriers. Similarly, HTC Corp.'s new Touch and LG Electronics' Prada are often compared to Apple Inc.'s iPhone, but neither is sold -- yet -- in the U.S.
Another reason to use unlocked phones is to save money when traveling internationally. U.S. cellular operators typically charge high roaming fees when their subscribers travel overseas. But with an unlocked phone, you can buy a SIM card at your destination and pay local rates, which typically are far less expensive. "I'm going to Montreal tonight, and the first thing I'll do is get a pay-as-you-go SIM," Abramson said. "I'll be there for three days. That might not sound like a long time, but one time I was there for three days and my bill was $200." The primary downside to swapping SIMs when traveling is that your phone number will be different in the country you travel to, so you'll have to give friends, family and colleagues your new number. But for business travelers, this arrangement has certain advantages, Abramson noted. "Presumably, you'll be calling people locally when you're in another country, and if you call them and they need to call you back, they just have to make a local phone call instead of making an international call," he said. "It's a matter of courtesy." While unlocked phones are legal, cellular operators are under no obligation to sell them or to help you unlock a phone you already own. However, there are numerous ways to get your hands on an unlocked phone, according to Evan Silbert, president of Warlox Wireless, which sells unlocked phones and unlocks phones customers already own. For instance, U.S. cellular operators have been slow to pick up some of Nokia Corp.'s high-end N-series phones, which offer high-megapixel cameras and a host of other features not found on many phones. As a result, Nokia has opened stores in Chicago and New York to sell their unlocked phones. In addition, unlocked phones are readily available from many online stores, including general retailers such as Amazon.com and Buy.com, as well as from many specialty merchants. Two examples of such merchants are PureMobile and CellHut. 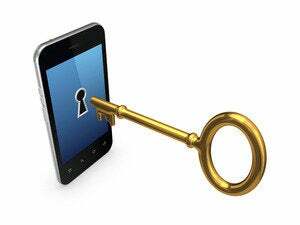 Cellular operators may help you unlock your phone, or they may not. A spokesman for T-Mobile said the company will help customers unlock phones after their accounts have been active for 90 days. Mark Siegel, an AT&T spokesman, said, "I think we have a pretty customer-friendly policy." Specifically, he said the company will help customers unlock their phones after they have completed their contract terms. However, he didn't know the company's policy for those who want to unlock their phones during the term of a contract. You may need to be insistent to get help from your cellular operator, said Derek Kerton, principal of The Kerton Group, a telecommunications consulting firm. "You have to jump through some hoops to do it, but they'll eventually help you," Kerton said. "You'll have to call the call centers and explain to the reps that their company will do it. Many customer reps haven't heard about unlocking." Eventually, though, the customer rep should give you both the "unlock code" that unlocks the phone and instructions about how to enter the code. The process is different for every type of phone. For many, an easier option is to use one of the numerous companies that will unlock a phone for you. Warlox Wireless' Silbert said the cost is typically between $20 and $100, depending on how complex the procedure is. He said that many older phones are relatively simple to unlock, while some newer phones can be much more complex. One reason unlocked phones aren't more common in the U.S. is that the freedom they provide comes at a price. For example, Cingular offers the Samsung BlackJack smart phone for as little as $99 with a two-year contract. However, shopping the Web, the lowest price we found for an unlocked BlackJack was $328. The cost difference is the result of carriers subsidizing the price of phones to entice new users, which has long been a common practice in the U.S.
"When a carrier subsidizes a phone, they have the right to lock you into a contract," Kerton said. "But it's like getting a two-year lease on a car, and the car dealer striking a deal with Shell saying that's where you have to get your gas." Another disincentive, particularly for corporate users, is the hassle of using unlocked phones, Kerton maintained. "If a company has people traveling abroad and there's the option to unlock the phone and use a local SIM, it usually isn't worth it," Kerton said. "True, companies can save money, but what's the price of having the [traveler] find a store and buy the SIM, then open the phone and put the SIM in? It adds up to hassle, which IT doesn't want and travelers don't want. It's hard to get ROI when there's hassle." A better approach, Kerton said, is for companies to negotiate better roaming rates with their cellular operators. Still, some large U.S. companies do use unlocked phones. "We just unlocked some phones for Cisco," said David Baker, owner of UnlockMyPhoneNow.com. "We've done it a number of times for companies. Often, it's to save the expense of buying new phones when they switch carriers. They have perfectly good phones. Why should they buy more phones?" But, Baker and Silbert acknowledged, the majority of their customers are individuals comfortable enough with technology to open their cell phones. For Abramson, the benefits far outweigh any drawbacks. "As a user, I don't have to change my habits to suit the carrier," he said. "I can do things and use applications without the carrier's cooperation." David Haskin is a Computerworld contributing editor specializing in mobile and wireless issues. This story, "Joys of Unlocked Cell Phones" was originally published by Computerworld.